As the flight started its descent, the excitement mounted. 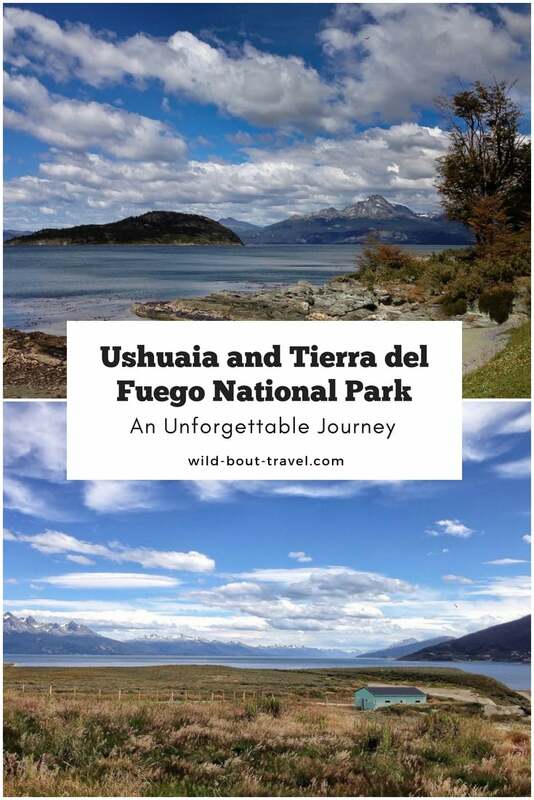 I would soon reach Ushuaia, the world’s southernmost city also nicknamed “Fin del Mundo” (“the end of the world”), and Tierra del Fuego National Park. From my window seat, on the flight from Buenos Aires, I looked in awe at the ample bay surrounded by mountains and counted the minutes before setting foot in wild Patagonia. All of a sudden, strong gusts of winds shook the plane. The pilot announced that he would have to land from a different angle. We circled the bay, shook like a cocktail, and finally reached the strip. It was one of the scariest landings in my life, and I felt relieved when the plane eventually reached the taxi position. I climbed down the stairs of the aircraft and walked the short distance to the airport building, the heavy wind pushing and pulling me. I would soon find out that wind is almost unremitting in Patagonia but right then, I didn’t care. A longstanding dream was coming true. I loved all my previous trips to South-America and was looking forward to discovering the wild beauty of Patagonia. 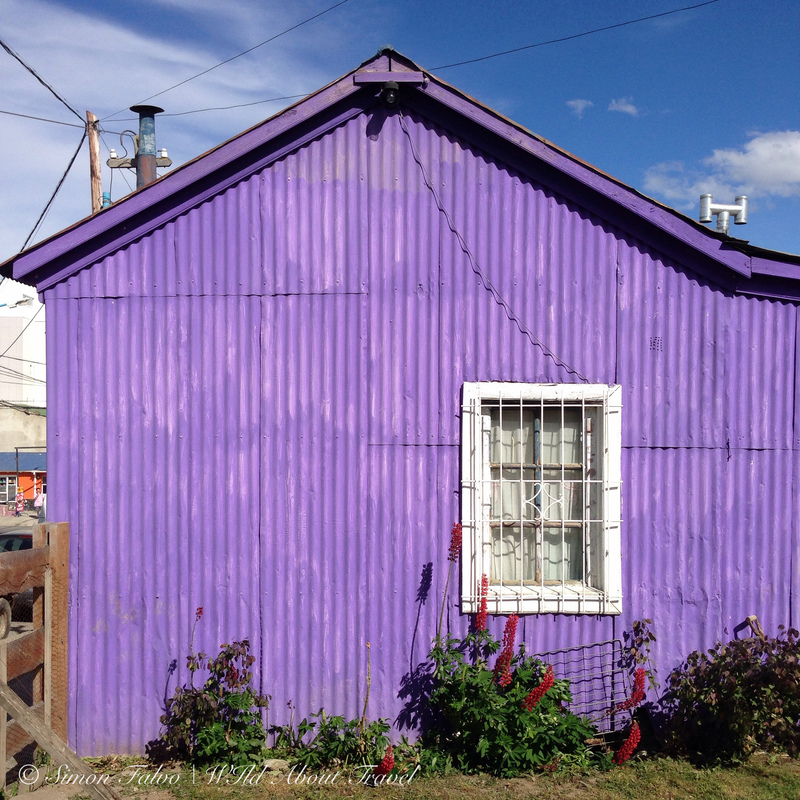 The plan was to start from the southernmost city and travel up north stopping along the way to the Perito Moreno, Los Glaciares, Bariloche, and back to Buenos Aires. A former penal colony, Ushuaia has become an important tourist hub to explore Tierra del Fuego and to board one of the ships directed to Antarctica. From the harbor, the sky dotted with clouds was so deep to seem almost endless. The docked ships, with their blue and red main bodies, added a touch of bright color and made me think of the ancient explorers and dream of faraway wild lands. I wandered around the harbor in awe, listening to the howling wind and the squawking gulls, breathing the salty air. I was incredibly excited. Once a sleepy village, Ushuaia has become a city of over 50,000 residents, where tourism plays an essential role in the local economy, together with fishing, oil and natural gas extraction, and sheep farming. 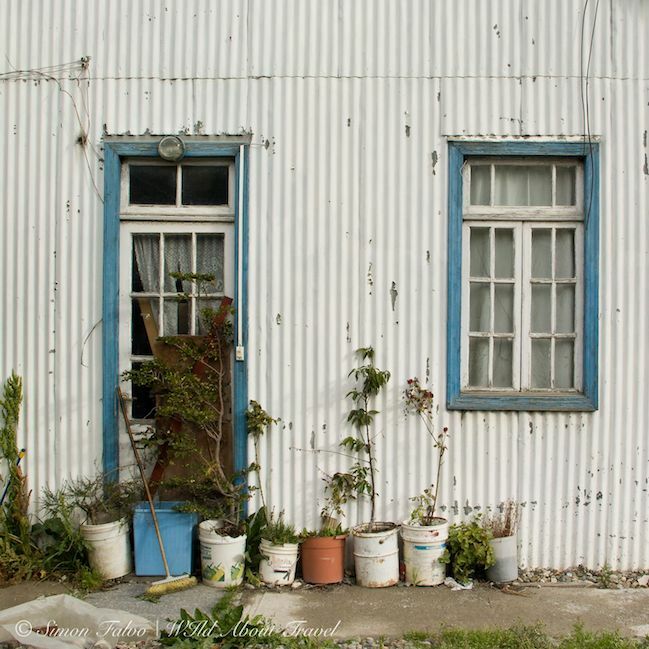 With its jumbled houses and buildings, and the cafes and restaurants haunted by tourists, the charm of Ushuaia lays in its being at the “Fin del Mundo” rather than innate prettiness. Whether you spend a few days in Ushuaia to explore the surroundings or only one day before embarking on a ship to Antarctica, there’s one thing you must eat: centolla. 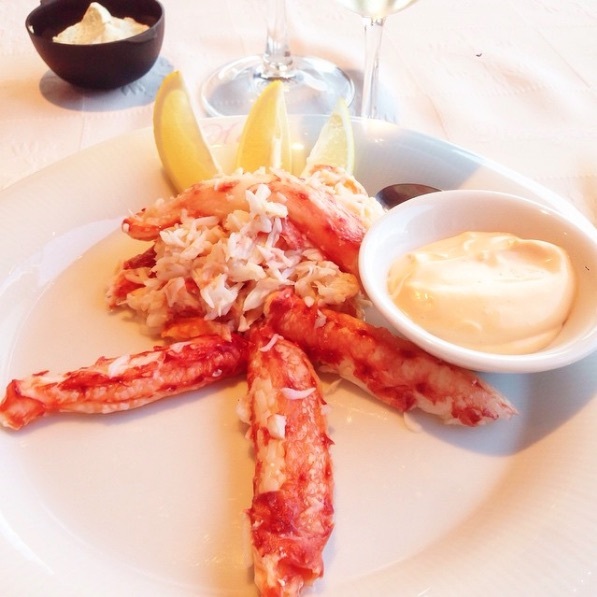 The king crab is expensive but too good not to give yourself a treat. Restaurants cook it in different fashions, although I would recommend you to have it prepared plain: boiled and served with a bit of raw oil and lemon. Without sauces and other additional ingredients, you’ll fully taste the delicate and tender flesh of this delicious shellfish. 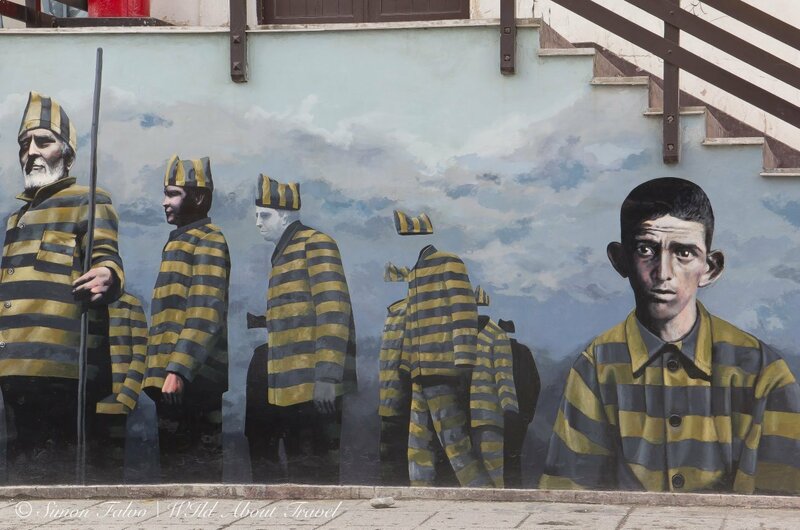 One day is enough to stroll around the city and visit the few Museums. 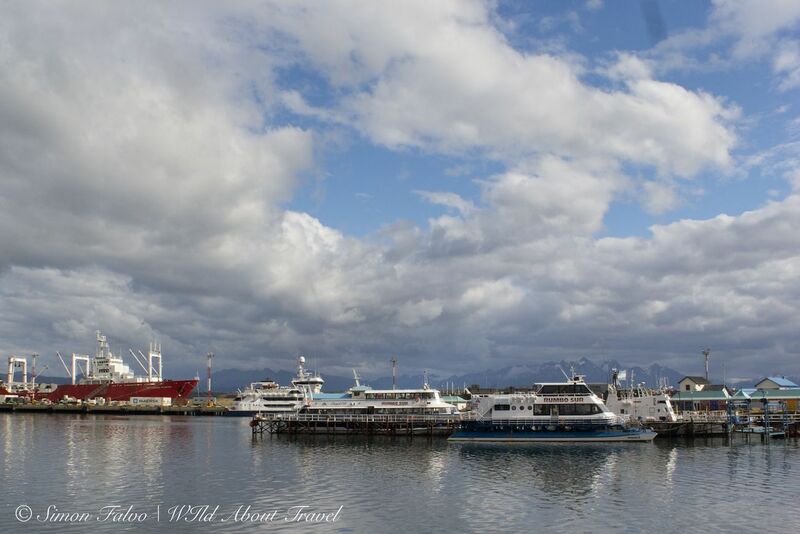 After that, Ushuaia is an excellent base for a few excursions. The most popular is the visit to the Estancia Haberton and the boat tour along the Beagle Channel to spot fur seals, sea lions, penguins, and a wide variety of birds. Like anything else in Patagonia Argentina, these tours are pricey and crowded; therefore, unless you have a substantial budget, you may want to save money for more unique excursions like the boat trip to the Upsala and Spegazzini glaciers, near the awe-inspiring Perito Moreno. 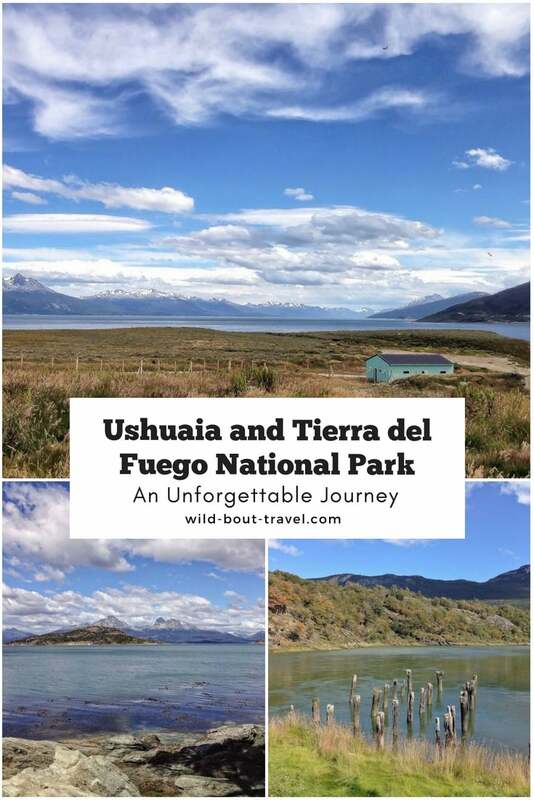 To enjoy the wild landscapes surrounding Ushuaia and beat the crowds, I decided to go hiking in the Tierra del Fuego National Park. Having trekked the Andes in Peru a few years ago, I was curious to see how the southern end of the mountain range would be like. 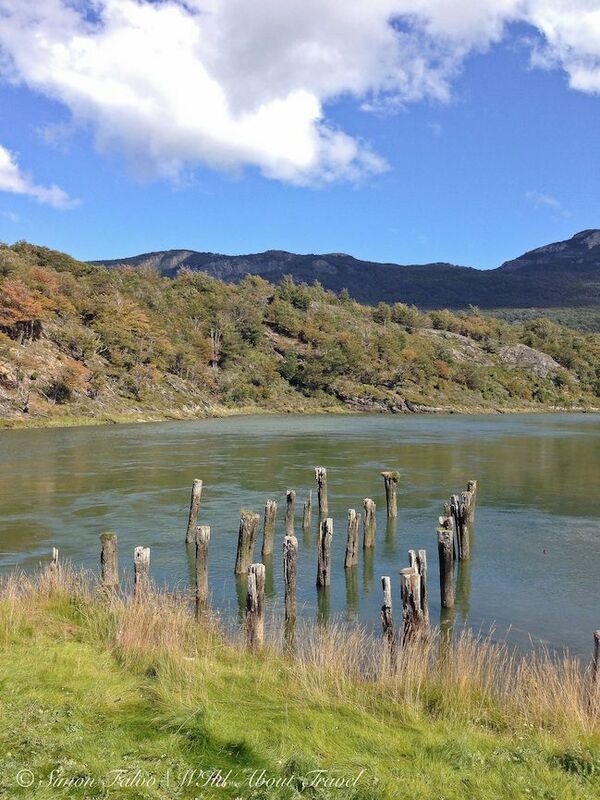 There are several hiking trails to choose from in Tierra del Fuego National Park. I decided to walk the 8 km Coastal Path (Senda Costera) and soon found out that it’s a favorite for a good reason. 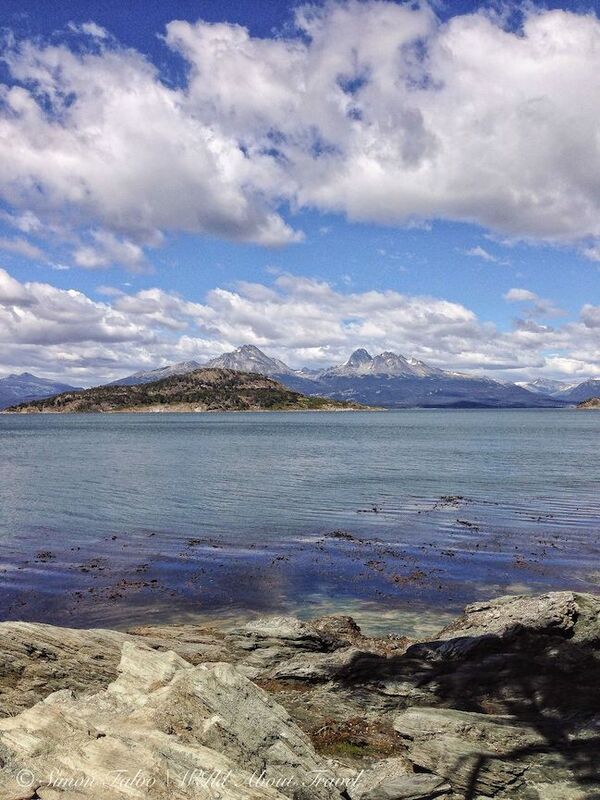 The trail connecting Ensenada Bay to Lapataya Bay offers magnificent views of the Beagle Channel and the surrounding high peaks. 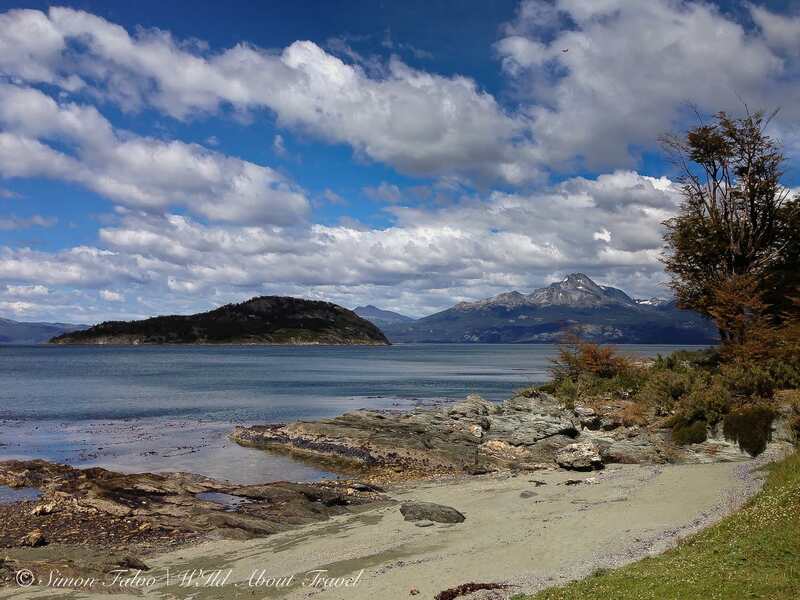 Small coves, lenga beech trees bent by the strong wind, vast plains created by the glacial erosion, clouds running fast across the deep blue sky: Tierra del Fuego National Park is beautiful and a must-see in Ushuaia. 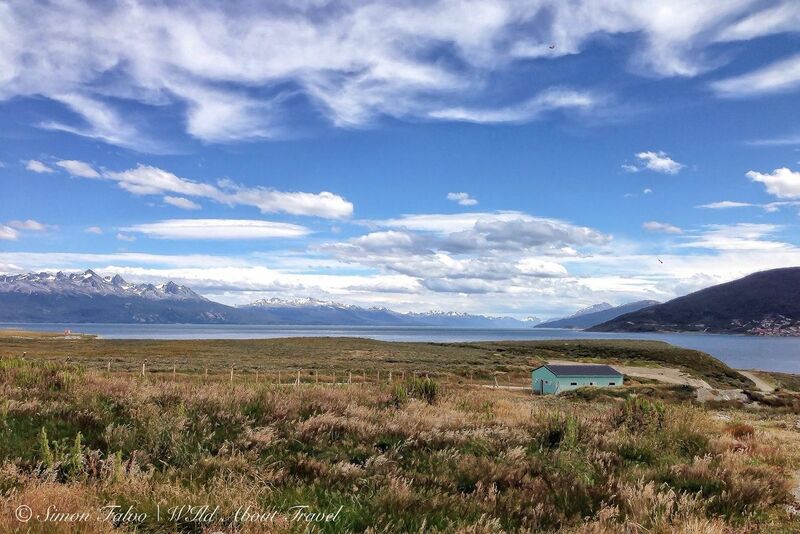 Traveling by plane to Ushuaia is the most common, easiest and quickest way to reach the “Fin del Mundo“. There are regular flights from/to Buenos Aires and Calafate, and only a few to Cordoba and Trelew. Keep in mind that since there’s almost no competition, internal flights in Argentina are expensive. To find the best airlines deals, I usually rely on CheapOair and Kiwi. 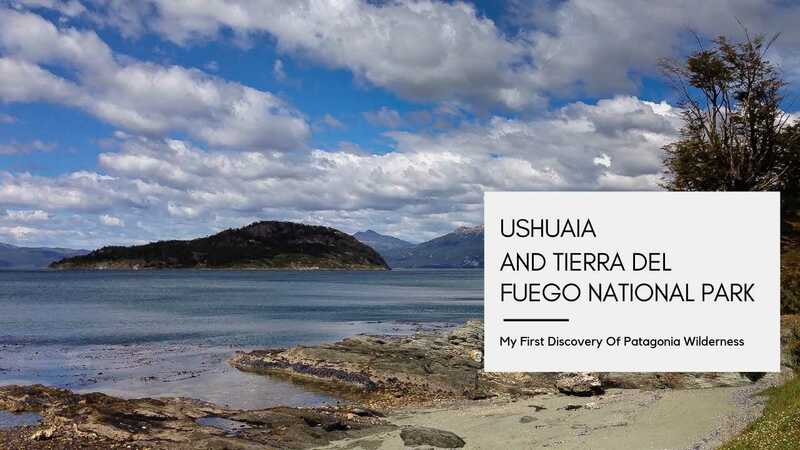 Although there are flights all year round, the best period to visit Ushuaia and Tierra del Fuego is from December to March, the local Summer. Beware that the climate in Tierra del Fuego is humid, with an abundance of rain and clouds all year. Don’t expect high temperatures, even if the sun shines, and be ready for the cold. December to March are extremely busy, so I highly recommend to book your accommodation largely in advance. Even hostels get easily fully booked (and while I was there, I saw my share of people roaming around in a desperate search for a room). ♦ Arakur Ushuaia Resort & Spa – You won’t regret being a little far from the center at this five stars hotel. The views are stunning and Arakur Ushuaia Resort & Spa offers a wide array of amenities, including a modern fitness center, as well as an indoor and an outdoor swimming pool. ♦ Los Cauquenes Resort + Spa is a wonderful 5-stars hotel with magnificent views over the Beagle Channel. The resort features a Spa, a swimming pool, and fitness facilities, and organizes exclusive excursions to the most beautiful spots. ♦ Alto Andino Hotel is a good choice if you want to stay in town. The hotel is close to the bay and features tastefully decorated modern rooms with cable TV and a mini-bar. ♦ Hostería Patagonia Jarke – Excellent location, cozy alpine-style decor, and panoramic views of the Bay and the Beagle Strait. There are plenty of bars and restaurants to choose from. Here are two restaurants where I had great food. A few minutes outside of the center, on a steep road, Kaupè is expensive but the food is excellent (especially seafood and king crab) and you’ll enjoy the view of the bay. A warm atmosphere welcomes guests at La Sirena y El Capitan. Great fish and seafood. Whether you’re short on time, don’t feel confident at visiting by yourself a country where English is little spoken, or wish to make a special experience, you may consider taking a guided tour. Here are a couple of interesting options. 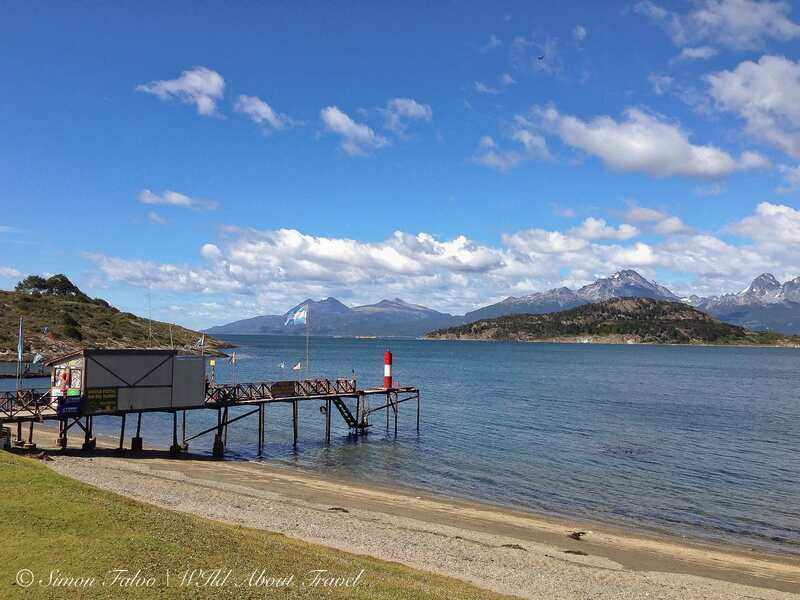 ♦ Half-Day Train to the End of the World and Tierra del Fuego: Ride the old train and discover the beauty of Tierra del Fuego National Park. 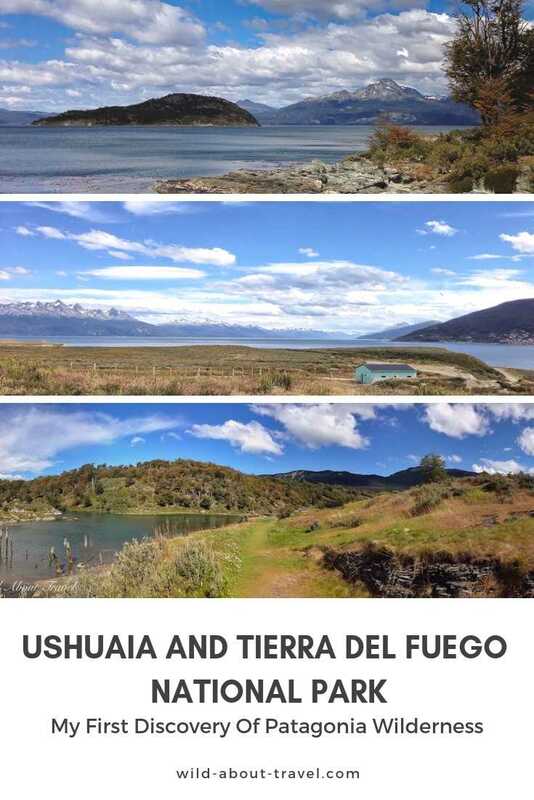 ♦ Lakes of Ushuaia 4WD Off-Road Canoe Adventure: A full day of adventure on an off-road 4WD ride and canoeing in Tierra del Fuego. ♦ Full-Day Tour to Penguin Island & Estancia Harberton: See penguins and sea lions, and discover the historical Estancia Harberton. Waterproof hard shell jacket: you’ll find out soon enough that the weather in Ushuaia is unpredictable and that there are high chances of wind, rain, and cold. Waterproof hiking shoes: there are few things I dislike as much as having wet feet. And even if you don’t plan to hike, you’ll be glad to have a pair of sturdy, waterproof shoes. Waterproof lightweight poncho: in case of heavy rain, you want to protect yourself and your bag/backpack as much as possible. Multiple ports USB quick charger: one thing I noticed in Patagonia is that often the number of wall sockets is limited. If you want to be able to charge multiple devices easily, you’ll need a 6-ports fast charger. Quick dry pants: the weather in Tierra del Fuego can change in a matter of minutes, and there are chances to get wet sooner than later. It’s easier to protect the upper body, and you’ll be glad if you have trousers drying quickly. TIP: Don’t forget travel insurance. We all want a trip to be fantastic, but although unlikely, something could go wrong. Comprehensive travel insurance will ensure your peace of mind (and save you a lot of money) in case of unexpected, unfortunate events. I’ve been using World Nomads for years and was always very happy. Note: This article contains affiliate links. The products and services suggested are carefully selected and while the price for you doesn’t change, if you buy any of them I’ll get a small commission helping me to run the website.